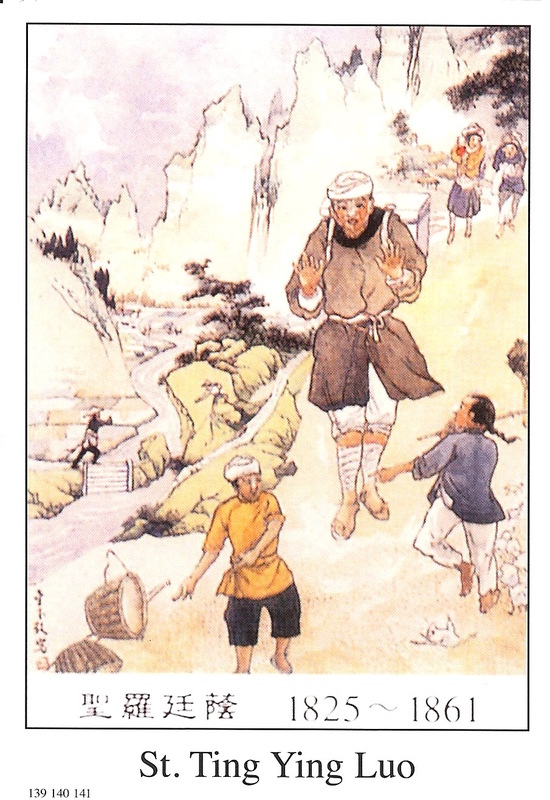 St. Ting Ying, baptized John Baptist…..He was literate and taught his children to read and write. He also knew something about practicing medicine. He was honest and simple…. St. Ting Ying was not interested in honor or rank but was focused on glorifying God and saving souls…..St. Ting Ying used knowledge of medicine to baptize village infants near death, thus saving many souls. He was martyred in 1861 at thirty-seven years of age during the Boxer rebellion……..